The IRS has released the first round of letters to Applicable Large Employers (ALEs), companies with 50 or more full-time or full-time equivalent employees, it believes are subject to penalties for failure to comply with the ACA for the 2015 tax year. The potential the Employer Shared Responsibility Payment (“ESRP”) penalties assessed in IRS Letter 226J are significant, climbing into the millions of dollars for some employers. If you have not received a Letter 226J yet, don’t breathe a sigh of relief just yet. Additional rounds of letters are coming in the weeks ahead. 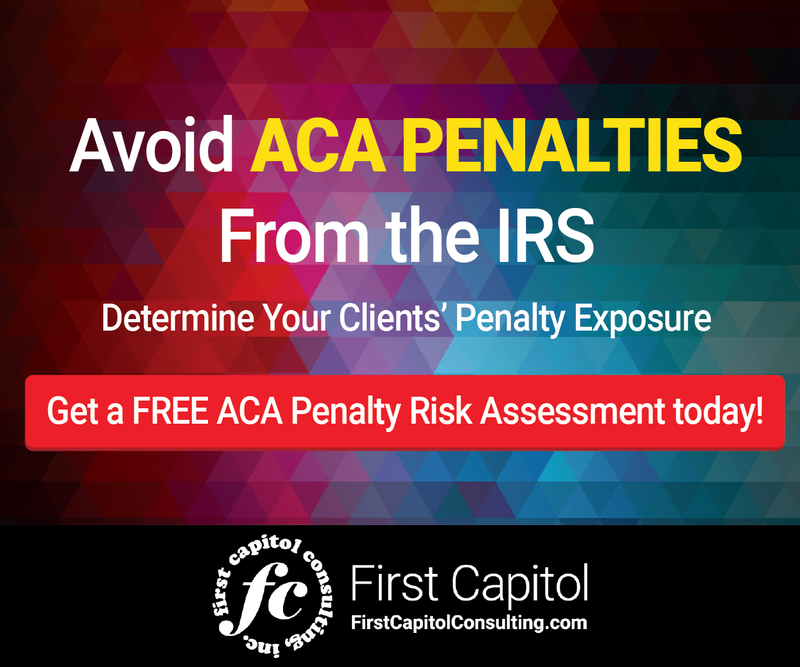 The ACA penalty process are not limited to 2015 filings: The IRS has an ACA penalty process in place to identify ALEs who either failed to comply with the ACA or made errors in the data submitted in annual Affordable Care Act Information Returns (AIRs). The IRS penalty review process will be ongoing and will include the 2016 tax year and future tax years. Expect that for future tax years, the IRS may be even more demanding of information to explain why your organization failed to comply with the ACA. Extensions may be granted: Requests for additional time to respond to Letter 226J beyond 30 days may be considered. When you receive a Letter 226J, you may send an extension request to the IRS if you need more than 30 days to respond. The extension request should be for a reasonable period of time. Always respond: After reviewing Letter 226J, it is important to send a response. You may either agree or disagree with all or part of the proposed penalty assessment. Failing to respond will be similar to agreeing to the proposed penalty included in the letter. Have ready documentation supporting corrections to the 2015 filing: In responding to Letter 226J, it is important to identify if anything should be corrected, and to submit corrected information as part of your response. Gather relevant supporting documentation to support your corrected information in case it’s necessary to provide it to the IRS. Anything you submit will be provided under penalty of perjury. Make sure the IRS confirms your response to Letter 226J: Following your response to 226J, the IRS will assess whether the amount of the proposed ESRP should be adjusted. Upon conclusion of the review, the IRS will issue Letter 227 and a Notice and Demand for Payment (Notice CP 220J). This Notice offers directions and alternatives to pay the penalty. 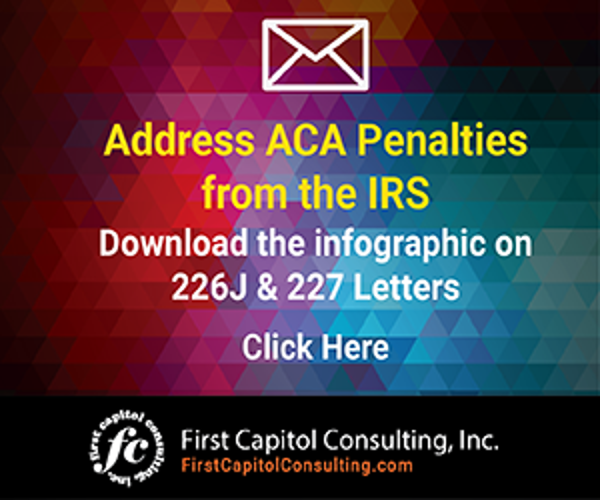 Your organization may be represented by an internal resource or a qualified third-party: The IRS ACA penalty process allows for an ALE to assign a representative to represent it before the IRS in responding to Letter 226J. The representative is not required to have power of attorney (POA), however, IRS staff has indicated it would prefer representatives who have POAs through submission of Form 2848. Attorneys, CPAs, and enrolled agents are the only authorized individuals that may represent an employer under an IRS form 2848 POA without limitations. If you have a third-party represent your ALE, that third-party should be familiar with the ACA filing process and IRS Forms 1094 and 1095-C. The representative should be familiar with your benefits process and how errors may have occurred to make the filing non-compliant. If you choose to have an attorney, CPA or enrolled agent represent your organization, ensure that they are already an expert in the ACA and the complex filing process. Consider requesting a pre-assessment conference: If your ALE disagrees with the proposed or revised ESRP payment for the IRS, you can request a pre-assessment conference. Following this conference with the IRS, the ALE may also ask the IRS Office of Appeals to review the case. Get prepared: ALEs that receive Letter 226J will typically have 30 days from the date of the letter to respond. Begin preparing now in anticipation of receiving one. Develop a response strategy. Review your past years’ filings, consult with experts if you have any questions, and confirm that your previous year’s filings were properly filed. Implementing these simple steps now will help you timely respond to any IRS inquiries, and possibly reduce your overall exposure under the ACA. IRS staff is providing more information on how to respond to Letter 226J. Here’s what your organization needs to know.